The unfiltered water has a tendency to clog the valve and other process equipment in the waterline and therefore the strainer has must to prevent thereof. Owing the same, we have fabricated the second to none quality of the Y strainer whose objective is to strain the dust and other unwanted sediments from the water flow and increase the life of the expensive process equipment. 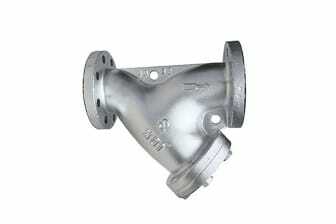 This Y strainer for water line is created using the bronze material having excellent resistance against corrosion and maintain completely contaminate free water and for the same reason is notably used to filter the potable water too and hence is also prominent as a Y strainers for potable water in the market. All the parts of this Y strainer for water line are as per the ISO 9001:2015 standards and flange end, weld end or socket ends are available as per the ASME, DIN or BS dimensions. Miscellany capacity of the same is available upon customer request in India as well as other countries, at the rock bottom prices.